Contact us in many ways! Periodontal disease, often called a gum disease, is defined as an inflammation and infection of gums, ligaments, bone, and other tissues surrounding the teeth. Gingivitis, which involves gums only, and periodontitis, involving gums and bone, are the two main forms of periodontal disease. Loss of a tooth may be devastating, especially if it’s showing when you smile. Luckily, modern dentistry developed many techniques on replacing missing teeth. Depending on the extent of the teeth loss, a dental implant, bridge, partial or a full dentures may become a perfect solution for your dental problem. We offer a wide variety of restorative services that are intended to save or restore a proper teeth structure. Therefore, we will be happy to help with problems ranging anywhere from restoring a broken tooth, replacing an old filling, rebuilding a broken tooth with an onlay or a crown, or replacing missing teeth with a bridge or an implant. If applicable, we will provide you with an alternative treatment options. Dental implants are a perfect solution to replace a single missing tooth or to create a support for a bridge or a denture. 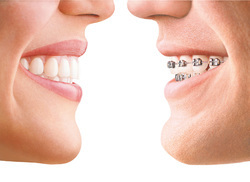 Invisalign can straighten your teeth without the need for braces. 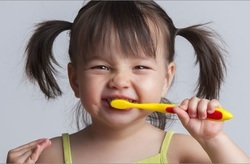 We have answered common questions about child dental treatment. Our dentists will provide you with all preventative as well general dental services. However, they also specialize in cosmetic dentistry which involves esthetic makeovers of your smile. They will help you regain the confidence you need with a smile that makes you feel great using the latest advances in cosmetic dentistry, including: whitening, bonding, veneers, Lumineers, as well as esthetic crowns and bridges. 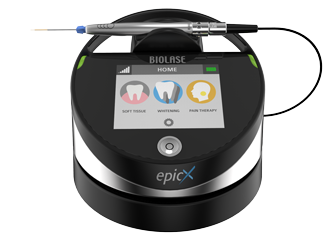 Endodontics is a branch in dentistry that deals with disease of tooth’s pulp. The pulp is found in the center of the tooth and it includes connective tissue, blood vessels and nerves. It is the tooth’s source of nourishment throughout its lifespan. The most common treatment of the pulp is called root canal treatment. An alternative to root canal treatment is a tooth extraction followed by an implant placement.